Check out this killer ROM the Space Knight resin figure by RenOne Lab!!! This unofficial bootleg action figure stands 3.75” tall and features two points of articulation (arms). It even includes ROM’s trusty space pistol! 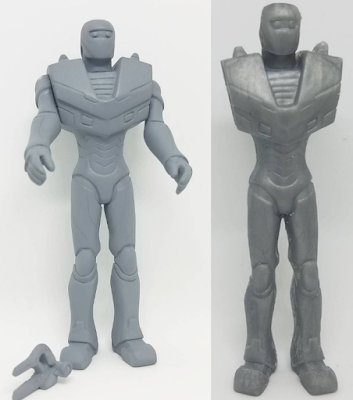 This exciting new release is currently available for pre-order in two fantastic colorways: Silver ($30) and real Chrome ($50). Each figure comes packaged in a re-sealable clamshell, so you can display your ROM in its original packaging or out on its own. Collectors can purchase this spot-on looking figure now at the RenOne Lab online store.